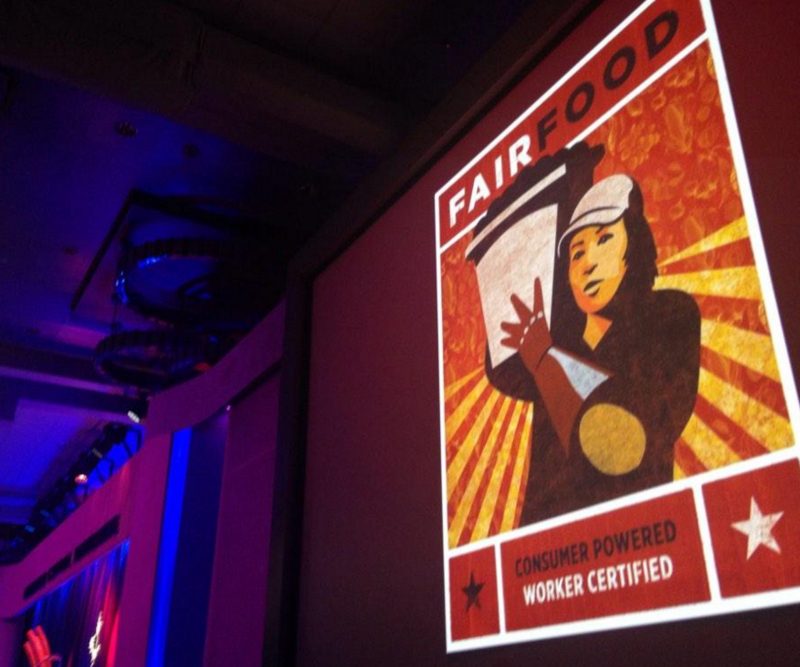 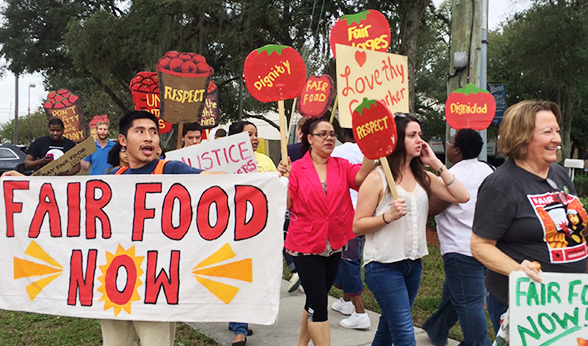 Back in November, we laid out the Fair Food Nation’s big plans for the November 21st Uniting for Fair Food Day of Action. 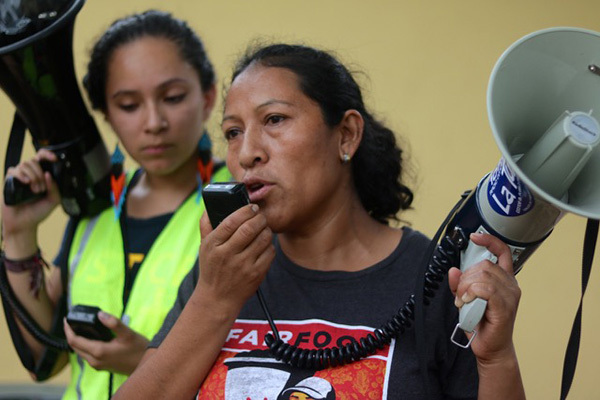 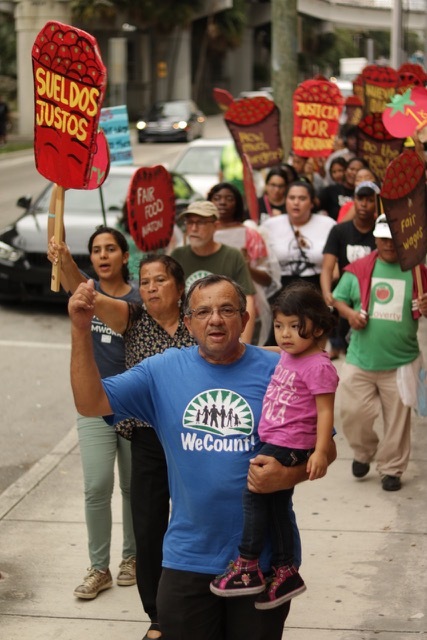 CIW members and consumer allies promised to kick off the holiday season with one, clearcut demand: justice — not charity — for farmworkers from the major food retailers still refusing to make a tangible commitment to farmworkers’ human rights. 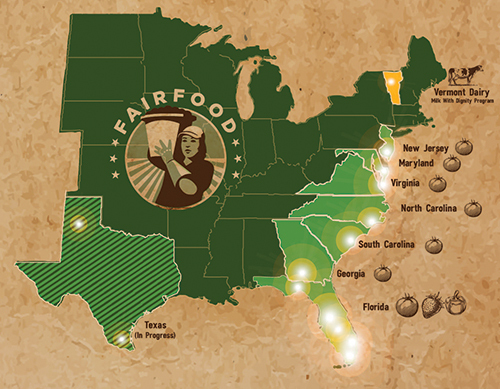 And boy, did the Fair Food Nation deliver on that promise! 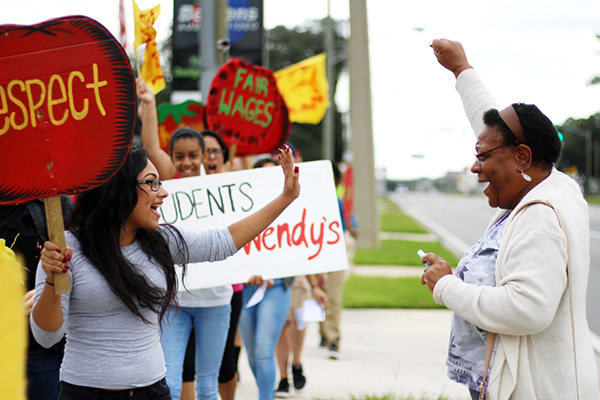 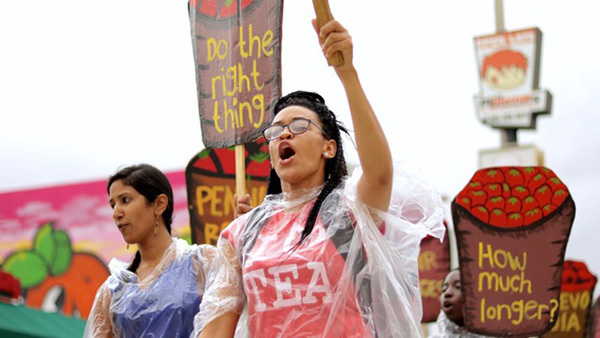 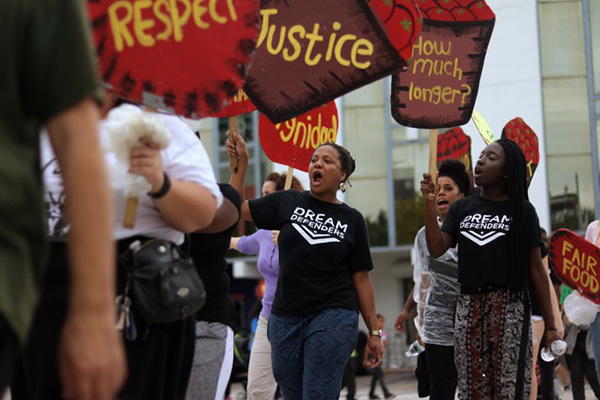 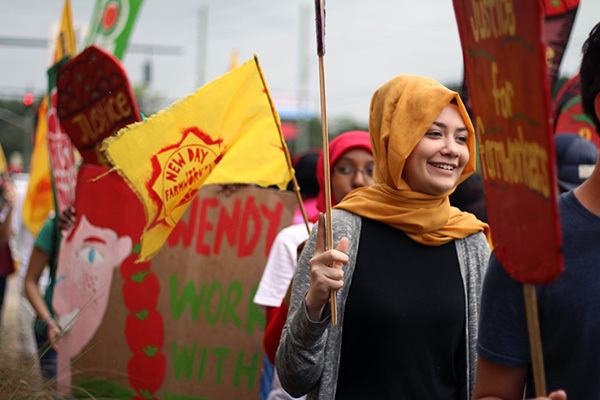 From Jacksonville all the way down to Miami, conscientious consumers took to the streets — rain or shine — alongside farmworkers to show Wendy’s and Publix their support for the Fair Food Program. 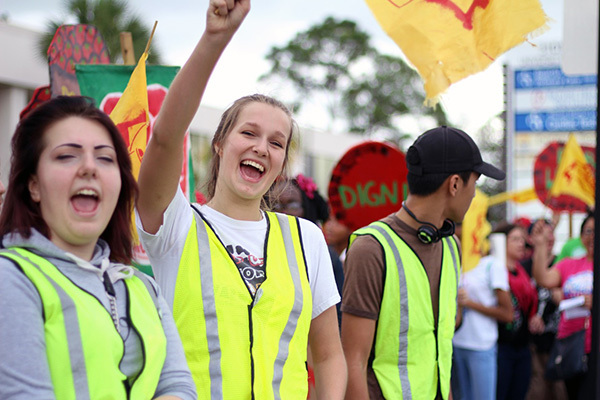 Bursting with energy, young people, church groups, and families marched in city after city — and we caught it all on camera! 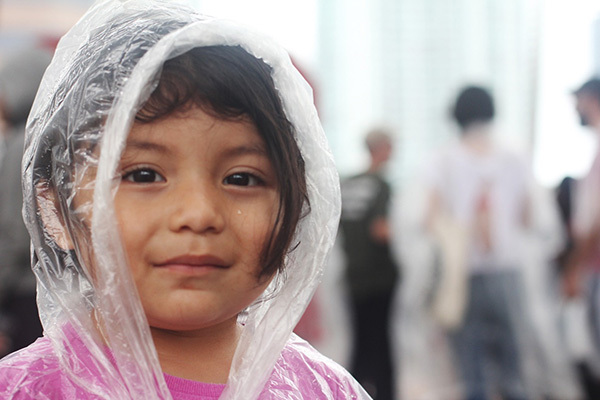 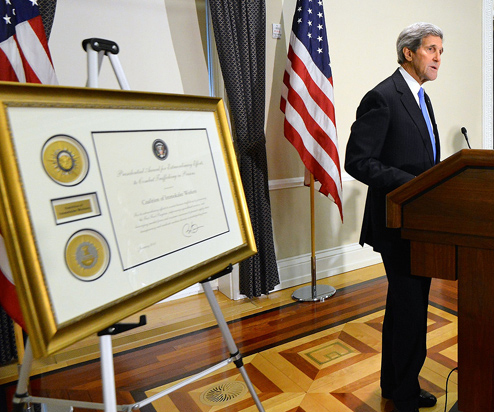 Today, we are happy to bring you some of the photo highlights from the weekend. 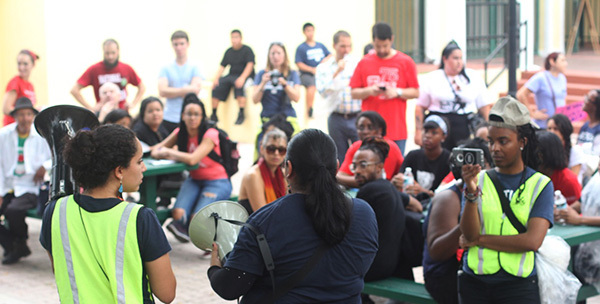 …and of course, made sure all passersby got the message! 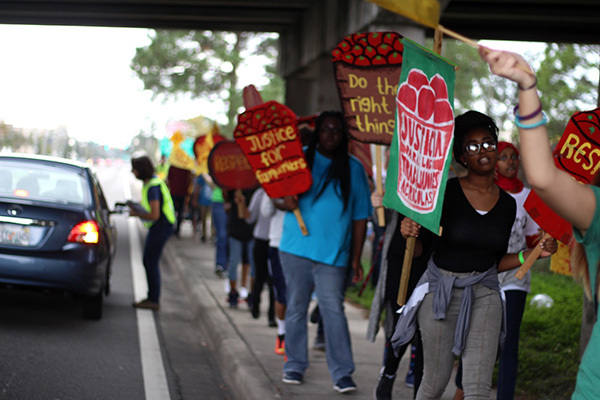 In short, the key holiday message consumers and farmworkers sought to bring to the fore rang out loud and true across Florida: Charity is not enough. 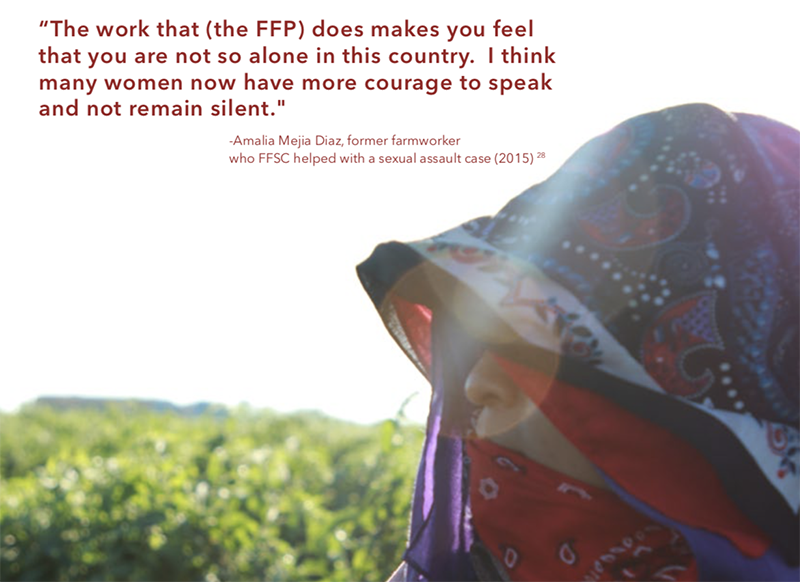 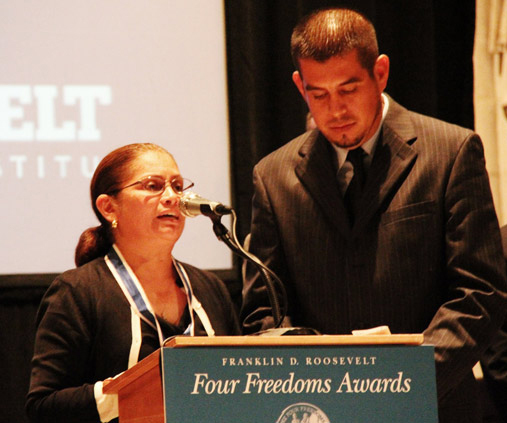 It is only justice — sitting at the table with farmworkers themselves, not just with the food they pick — that can ensure that the women and men in the fields can work safely, and with dignity, after decades of violence and abuse, and a safe working environment. 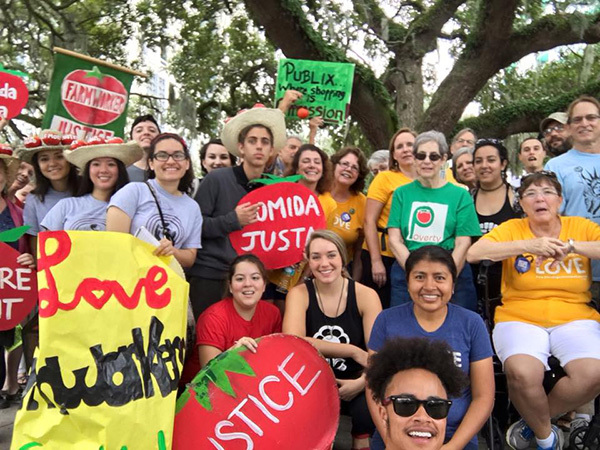 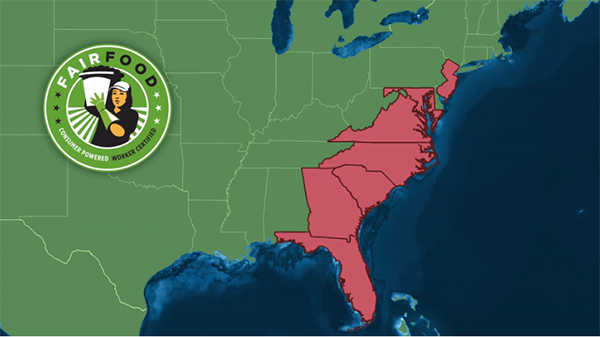 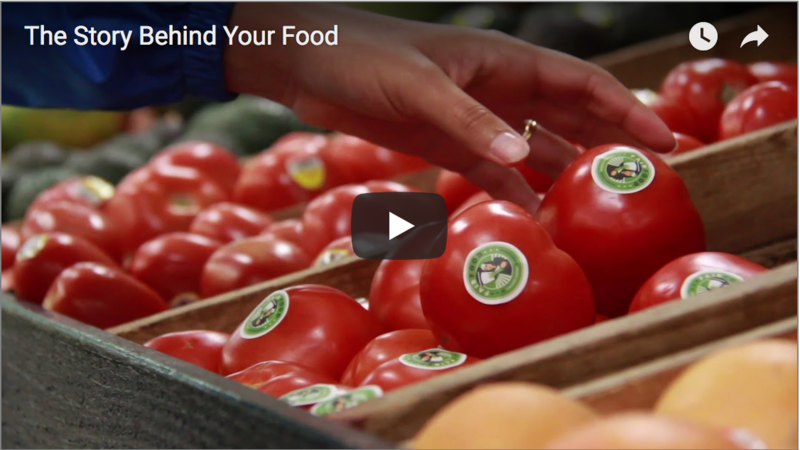 Publix, Wendy’s: The Fair Food Program offers you the opportunity to partner with farmworkers, growers, and fourteen other corporations in creating that long overdue change. 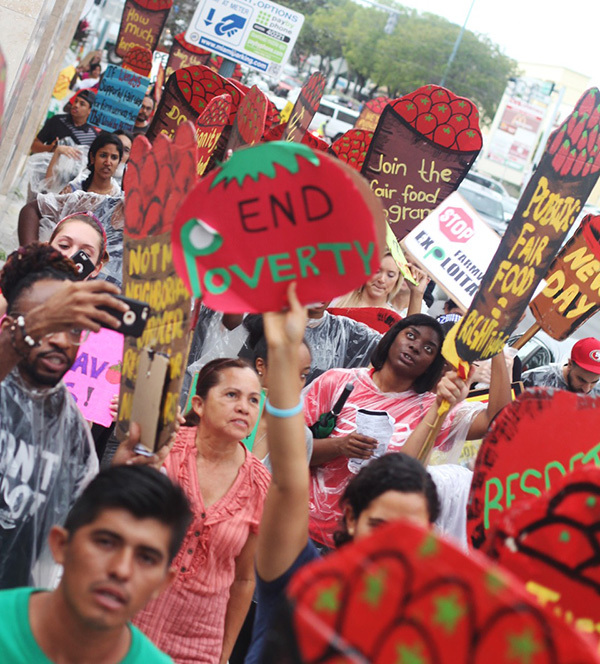 It is high time that you do your part — so that perhaps this time next year, farmworkers will not need the support of charities, but rather will be able to support their own families, armed finally with the dignity and decent wages, and appreciation, that their labor deserves.